Now, the earliest possible landing on the moon by NASA isn't until 2028, Pence said. He acknowledged talent—and money—will be necessary to pull it off earlier. 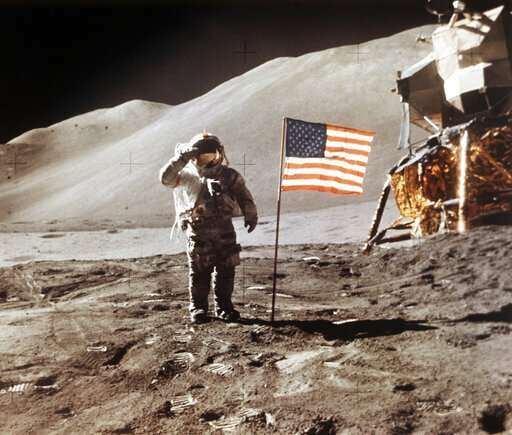 It took just eight years for NASA to accomplish everything to put astronauts on the moon in July 1969. It was unacceptable, Pence said, that SLS delays and cost overruns point to a 2028 target date—nearly two decades after the SLS program began. And supposing the US does return, how would any of this be an advancement beyond Apollo? So far, all descriptions I've heard of plans makes it sound like another expeditionary mission-- a 'moonshot'-- rather than a sustainable permanent presence in lunar orbit and on (or below!) the surface. The SLS doesn't appear to be practical from a dollars spent to science/progress achieved standpoint. It seems like 'a bridge to nowhere' unless the vision becomes visionary, but Nixon blinded US politics to being an author for the advancement of mankind and champion of universal progress for humanity.